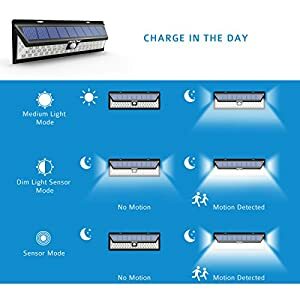 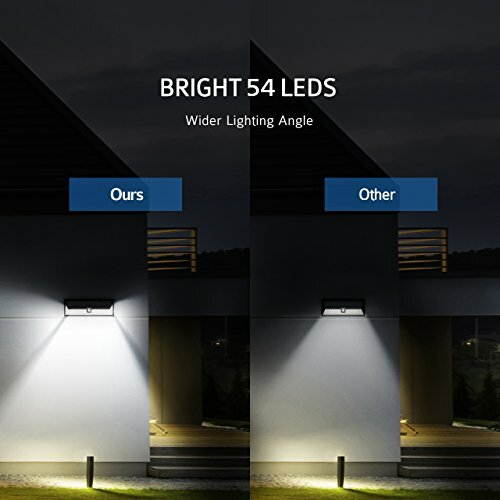 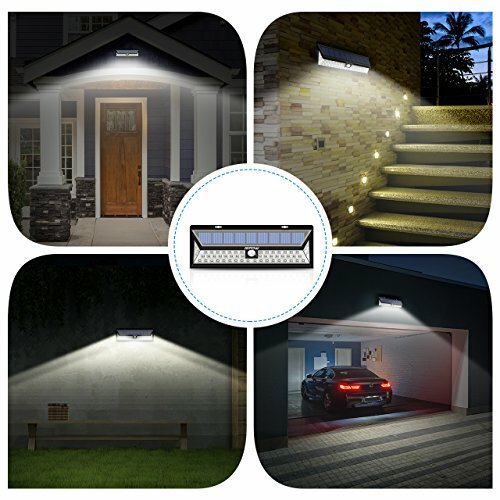 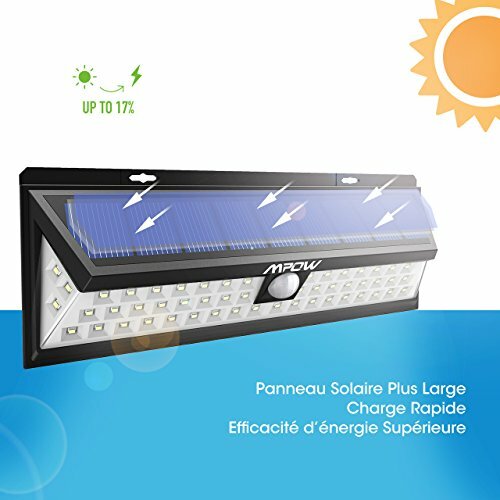 & # X3010; Efficient Lighting & # X3011; 54 LED Solar Lights provide a wide lighting angle solar LED brighter than other similar lights on the market. 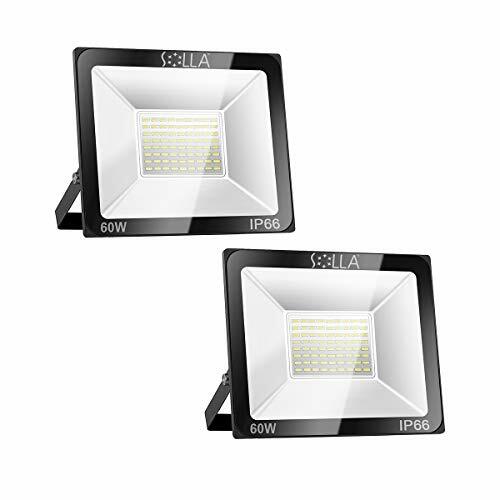 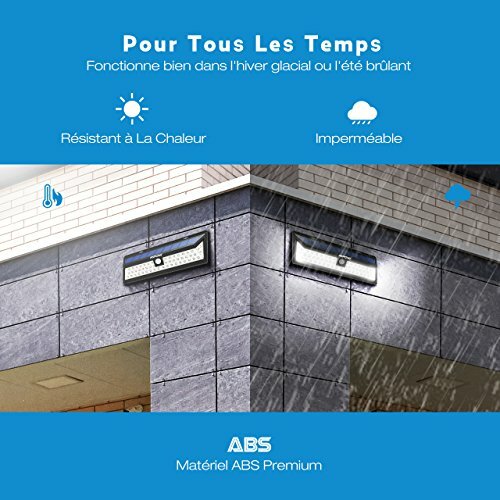 & # X3010; Waterproof IP65 & # X3011; Made of durable ABS material, you do not need to worry about the rain, and also can withstand all kinds of severe weather conditions. 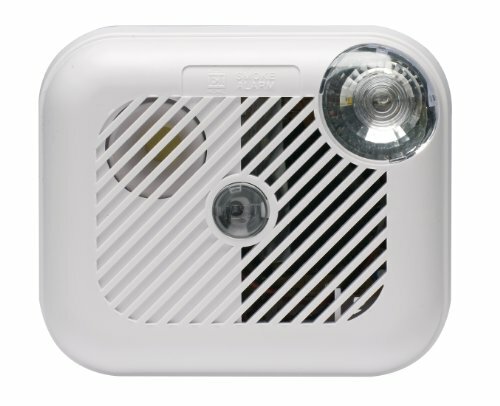 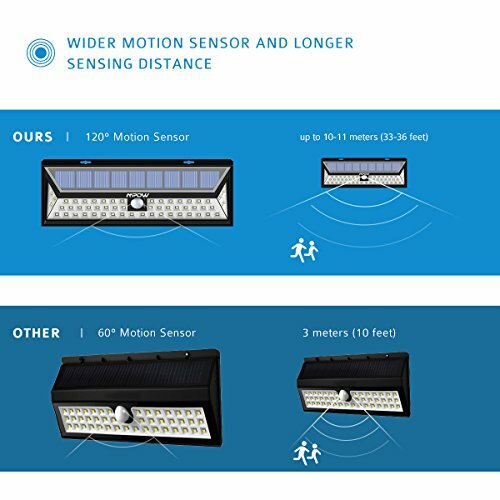 & # X3010; Unique angle width & # X3011; Sensor can detect movement from 10 to 26 feet of lighting up to 120 ° angle, which covers more area. 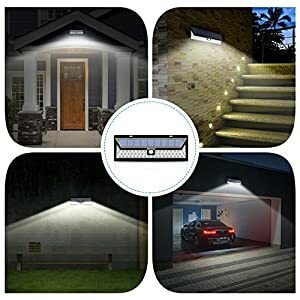 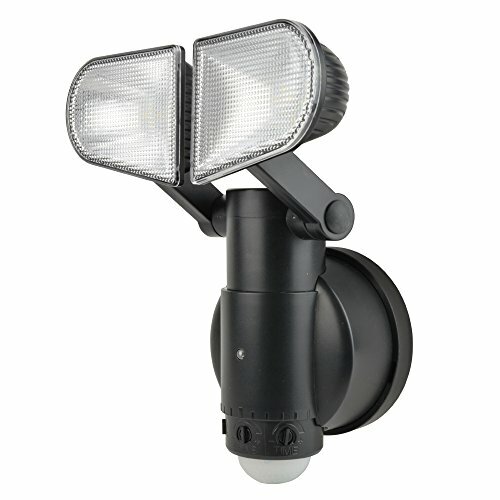 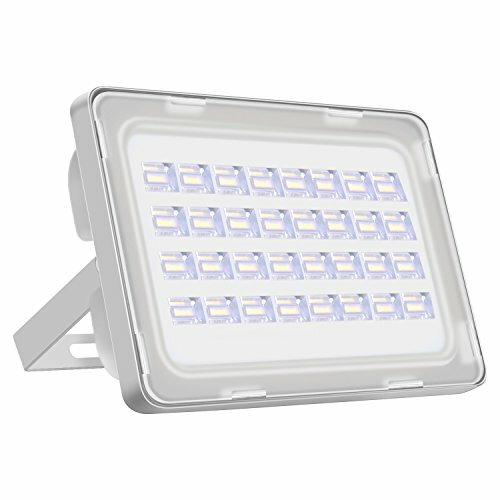 & # X3010; 3 light modes & # X3011; Motion Sensor Light comes with adjustable waterproof Medium Light Sensor Mode, Dim light sensor mode and to meet your demands. 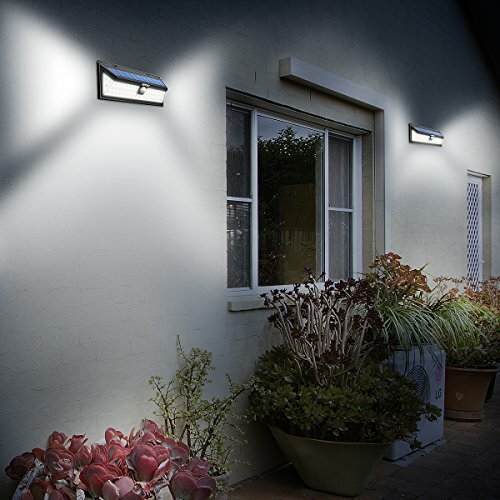 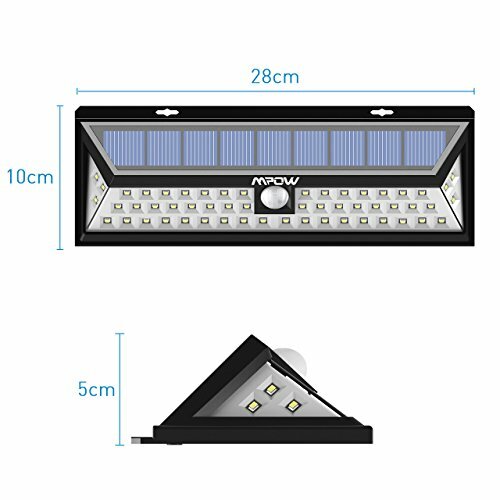 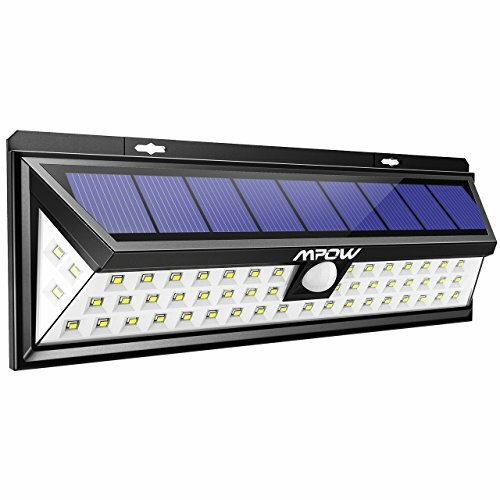 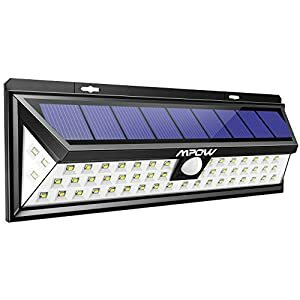 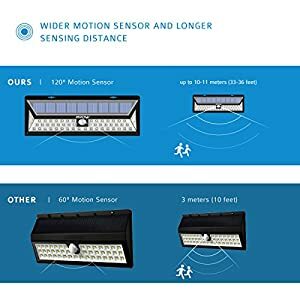 & # X3010; Easy assembly & # X3011; you can simply mount LED Solar Light Sensor on the wall with screws the height that is ideal for the installation is about 8.2 m.